New Delhi: The government is planning to open 200 new Jan Aushadhi generic drug stores across the country by the end of this fiscal, Parliament was informed. “The government is trying to start 200 new Jan Aushadhi stores by the end of the current financial year across the country,” Minister of State for Chemicals and Fertilisers, Hansraj Gangaram Ahir said in a written reply to the Rajya Sabha. As on December 10, 2015, there were 112 Jan Aushadhi stores operational in the country. Ahir said there are many reasons for the delay in establishing Jan Aushadhi stores in the country such as lag in getting drug license from the State Drug Authority, over dependence on support from state governments, supply chain management, among others. Further, issues like non-prescription of generic medicines by the doctors have also hampered in setting up such stores, he said. 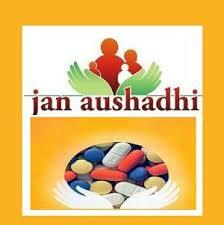 “Efforts are being made to open as many Jan Aushadhi stores across the country as possible,” Ahir added.